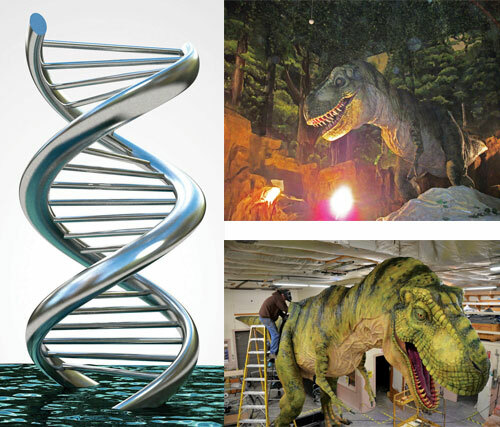 ICR commissioned a well-known artist to create a 24-foot DNA sculpture for the discovery center’s outdoor fountain. Discover a T. rex at the ICR Discovery Center! Progress continues at the ICR Discovery Center for Science and Earth History. Even scientists and scholars will be able to learn here, along with kids and their parents and grandparents. We’ll have something for everyone! As we build the ICR Discovery Center, we’re raising funds for the interior exhibits. We’re developing the most educational and inspirational exhibits possible. Together, let’s point people to the truth of our Creator, the Lord Jesus Christ. Visit ICR.org/DiscoveryCenter to find out how you can join us in this vital project. Partner with us in prayer and help us finish strong! “The development of the ICR Discovery Center will be a powerful new tool for us as we lead others to Christ and help individuals and families grow in their faith. Mark 16:15 says, ‘Go into all the world and preach the gospel to every creature.’ The new ICR Discovery Center will become a key asset and partner for many Christians and churches in both evangelism and discipleship, not only in the Dallas/Fort Worth area but all over the United States and the world.” — Jeffrey Tomkins, Ph.D.
“I’ve been working on the various informational tasks for the discovery center, and even though I’m very familiar with the material, I’m surprised at how much I’m learning! It takes me back to my college days. I can see the center will be a learning feast for visitors!” — Jerry Bergman, Ph.D.
“Are you fed up with the pro-evolutionary bias found in nearly all major science museums? Help us do something about it. 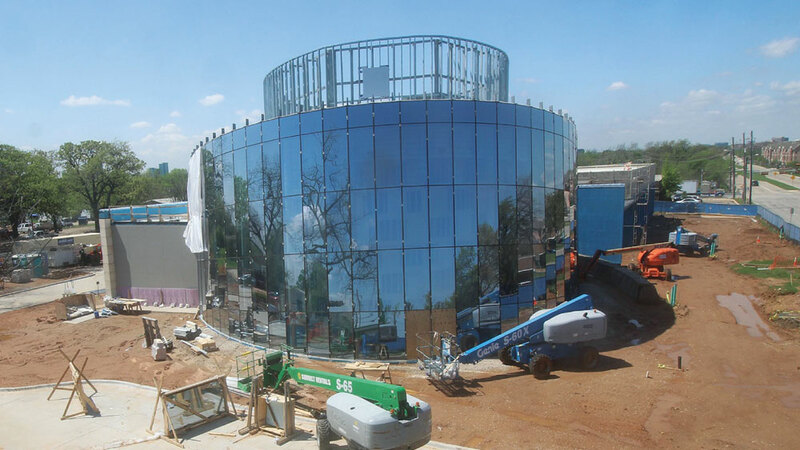 We are in the process of constructing the ICR Discovery Center for Science and Earth History here in Dallas that will showcase the evidence for creation and the accuracy of God’s Word. We are working on dinosaur, Noah’s Ark, and Ice Age exhibits, as well as a 3-D planetarium. The outside of the building is already paid for, but we still need to raise money for the interior exhibits, which will address common, as well as not-so-common, questions about the creation-evolution controversy. If you would like to see an alternative to the ‘temples of evolution’ found in most science museums, one that honors God and His Word, please prayerfully consider a donation to help us bring this project to completion.” — Jake Hebert, Ph.D.